The Mark Todd exercise boot are a set of two neoprene exercise boots with large faux leather strike pad. These Mark Todd brushing boots have 4 straps with rubber tabs and hook and loop style fastening and use a ventilated neoprene lining to allow cooling and reducing heat build up. 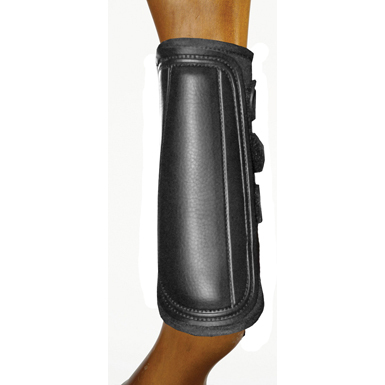 There are currently no questions for Mark Todd Horse Exercise Boot - be the first to ask one!